Generally, Outlook PST will throw such PST file is not a personal folder error while importing a backed up PST file or a split file. Whatever is the reason you will actually lose access to all your data on Outlook account. Here are some easy methods that would help you fix the personal folder error and access your Outlook emails and contacts easily. Your Outlook can access / import PST files those only have read / write permissions. Files having read-only attribute cannot be accessed by Outlook. Hence, copy the PST file from external source and disable ‘Read Only’ property. In case this doesn’t help try next methods. Now you can provide Outlook PST file path to make it available for use. You might have backed up your Outlook PST file and split the backup file to store it on multiple locations. In case you want to import these split files to Outlook, then join the split files as per the hierarchy. In order to identify the file is split, check if the has a .00X extension. Fetch all files and join them to import as in Method 2. If none of the above methods help you fix this PST file is not a personal folder error then, your PST file might be corrupt. Don’t worry! Microsoft has provided an inbuilt tool to fix corrupt Outlook file that is Inbox Repair Tool (ScanPST.exe). To know how to use and run the scanpst.exe tool check this link. However, this ScanPST tool has some limitations and can fix only minor issues. Also, it works on the same PST file and hence there are chances of editing the file furthermore, which make your data inaccessible permanently. Hence, you can rely on some third party utilities like Remo Repair Outlook PST tool. Go ahead with the next method to know how to repair Outlook file is not a personal folder file error. 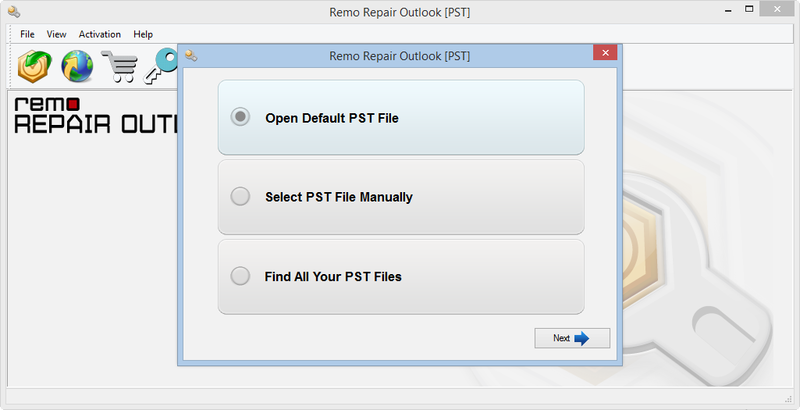 If your inbox repair tool fails to fix the error, then Remo Repair Outlook PST tool is the best choice. This tool will quickly scan your PST file, creates new file and pastes the repaired data on it. Thus making your corrupt PST file accessible. Since, the tool works on a new file, your original file will be intact and hence will be unaltered. 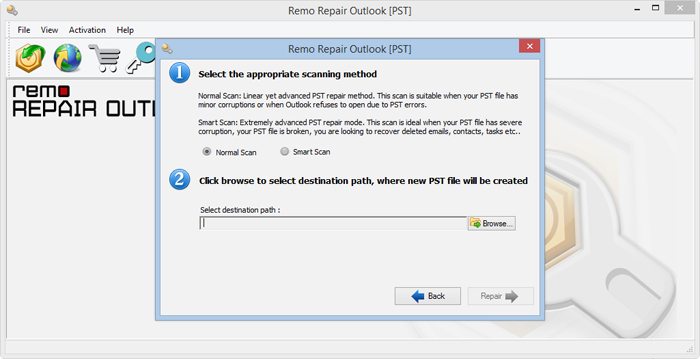 Step 1: Download, install and launch Remo Repair Outlook (PST) tool on your computer. With these your you can easily fix Outlook PST error and you can access your emails, contacts, and other data.